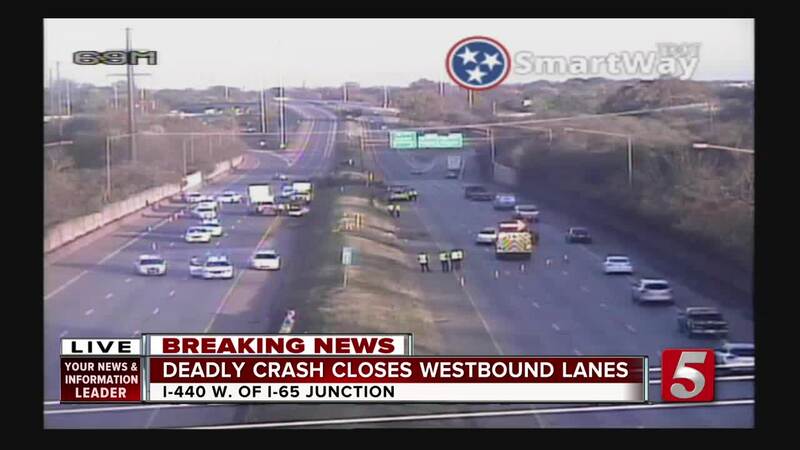 A deadly crash has closed a portion of Interstate 440 westbound near the I-65 split in Nashville. A woman has died in a crash on Interstate 440 westbound near the I-65 split in Nashville. The incident happened shortly before 3 p.m. Friday between I-65 and Hillsboro Pike. Officials with Metro Nashville police said the SUV rolled from the westbound to the eastbound traffic lanes, hitting another vehicle. The woman killed was identified as 30-year-old Ashley Atkins, of Primm Springs in Williamson County. She died shortly after arriving at Vanderbilt University Medical Center. Akin's three-year-old son was in a child restraint street in the vehicle. He was seriously hurt along with a 30-year-old female passenger. The three people in the other vehicle were not injured. Police are investigating why Atkins lost control of the SUV. There was no evidence of drug or alcohol involvement at the scene. The roadway reopened around 6:30 p.m.